SBS presenter Patrick Abboud is all ready for another Mardi Gras broadcast, this year will be his sixth year covering the event, having being part of the SBS commentary team since they began broadcasting the event. Abboud said he sees the annual gay and lesbian parade as a huge sea of love as it works its way down Sydney’s Oxford Street. “I love that the event itself is probably the only safe space for a lot of people who feel like they can’t be themselves in other parts of their lives, it’s just this huge sea of love that you drown in once a year, it’s such an incredible feeling! “What I love most about it is that it creates this sense of belonging for people, it creates a sense of community, and it reminds people of how unique and beautiful our community is.” Abboud said. Commentating on the parade is quite a challenge for the presenters, with hundreds of floats the team spend some time working out which floats will be featured, and seek out interesting stories to share during the broadcast. Abboud’s commitment is not just during the parade, but months of work before hand filming stories that will accompany the presentation. “We try really hard to have a genuine sense of inclusivity and diversity and make sure we’re including all parts of the acronym.” Abboud said. Having worked in Europe and the Middle East, Abboud has experienced a fair range of pride celebrations and parties around the world. “I lived in Europe for a number of years and in Europe, and I’ve been lots of pubs and bars and parades. I was living in Berlin and remember going to my first Christopher Street parade, and it was great to be there as a reveller. Abboud said the month long celebration that reaches its crescendo with parade and party transforms Sydney, with a series of events and activities. This year Perth’s own Narelda Jacobs will be joining the commentary team. Aboud said he was especially excited to have the Channel Ten newsreader heading over to SBS for the special event. “Having Narelda take part is a great way to represent WA in the event, and also the indigenous community.” Aboud said. The presenter said SBS is an incredible platform that allows us to tell stories about diversity, something that Aboud says he wouldn’t be able to do on other networks. 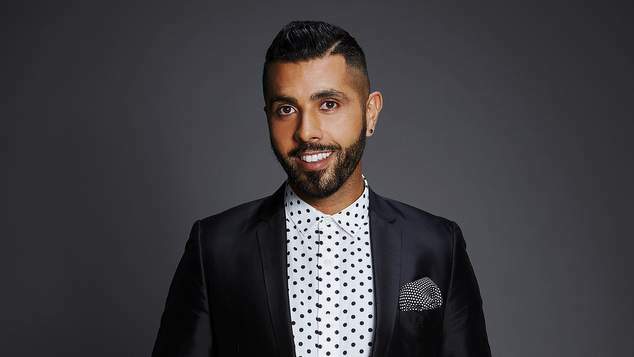 In the lead up to this years broadcast Abboud has been working on a series of stories with younger LGBTI achievers asking them who their heroes are in different fields. “We don’t actually tell them, but we surprise them by taking them to meet their heroes.” Abboud reveals saying the experience of connecting different generations was incredibly rewarding. Narelda Jacobs shared her excitement of heading to the Sydney Gay and Lesbian Mardi Gras when she caught up with 6PR’s Breakfast show this morning. Speaking to Steve Mills and Basil Zempilas said it was incredible that she would be joining another Western Australian Joel Creasey to be on the commentary team. Narelda said when she got the call asking her to be part of the team she couldn’t believe it was happening, but was looking forward to being part of the global event. “We’ll be fleshing out who the people are in the floats, it’s going to be an awesome job, because some of the quietest floats have the strongest message. They might not be the most entertaining to look at but its there messages that really bring home the ‘fearless’ message that the parade has this year.” Narelda Jacobs said. The Sydney Gay and Lesbian Mardi Gras is being covered by SBS. A live stream of the parade will be available on SBS On Demand and the SBS Twitter account and Facebook page on Saturday 2 March. SBS Arabic 24 will report live from the Sydney Gay and Lesbian Mardi Gras Parade to Arabic-speaking audiences around Australia. You can watch the SBS highlights of the parade coverage on Sunday March 3rd at 8.30pm.